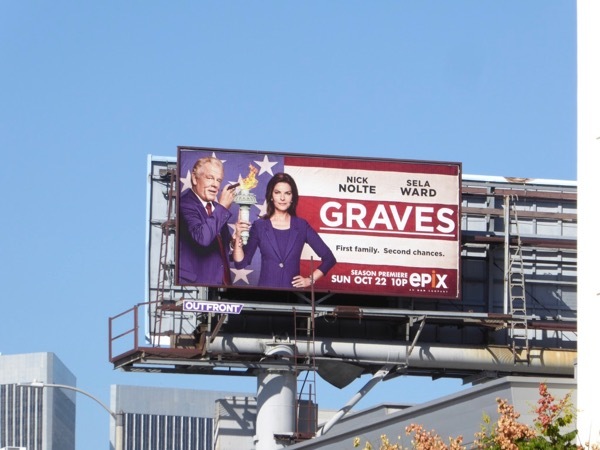 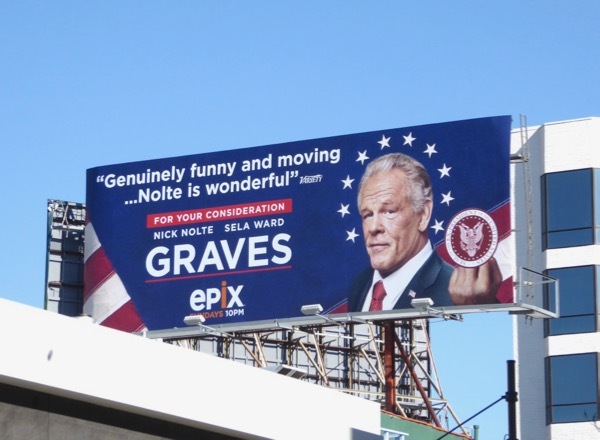 Last October Graves had the distinction of being Epix first original comedy and this October the series returns for a second season of political humour. 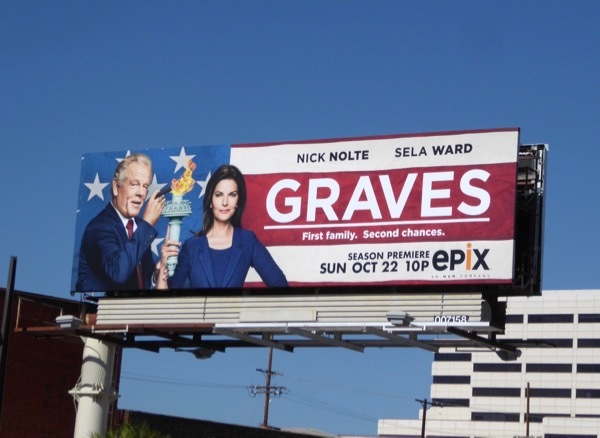 In the show Nick Nolte plays former President 'Richard Graves' struggling with his presidential legacy and the decisions he made, plus it also see his First Lady wife (Seal Ward) embarking on her own political run for U.S. Senate. 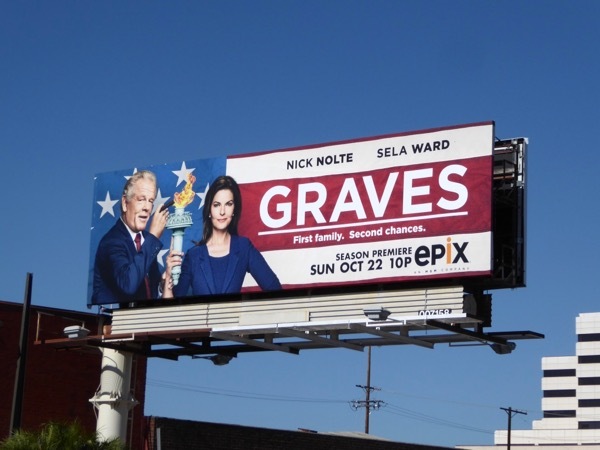 The Lady Liberty-inspired season two billboard was first spotted above Pico Boulevard on October 7 and later the larger version was spied along Sepulveda Boulevard on October 21, 2017. 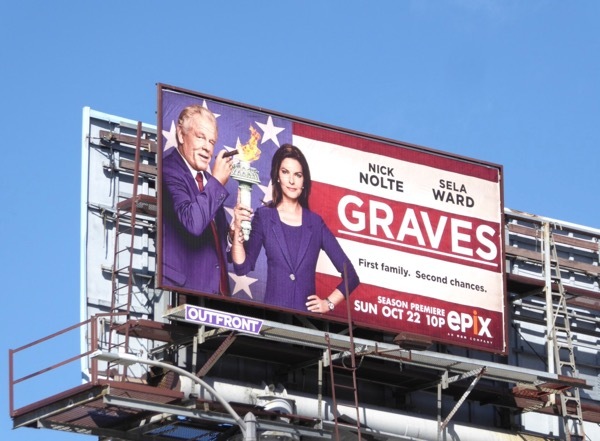 Meanwhile the Graves series premiere billboard with Nick Nolte flipping the bird under a presidential seal was snapped above La Brea Avenue on September 28, 2016 and the 'For your consideration' ad creative was spied along the Sunset Strip on November 29, 2016. 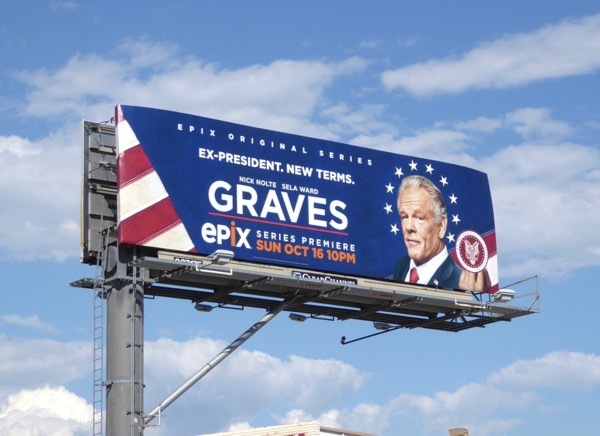 For more interesting takes on the iconic landmark, check out all these other fun State of Liberty-themed billboards. 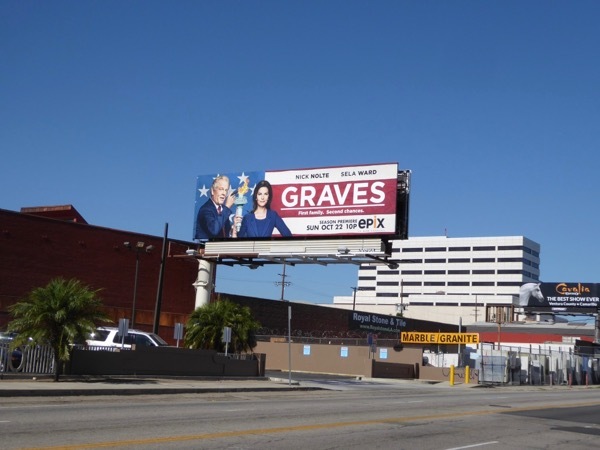 More women running for elected office and a Commander-in-Chief that regrets his mistakes in the White House, how nice would that be in reality.